A straight cut silhouette from the thigh to the hem. The perfect mid rise for a great fit on your waist. Made in authentic stretch denim that offers ultimate comfort. Bootcut fit balances out rounder hips. This classic fit jean flares out from the knee to the hem. A pair of heeled boots look great with this fit! Mid rise waist with a zip fly. Updated this season in beautiful authentic washes. 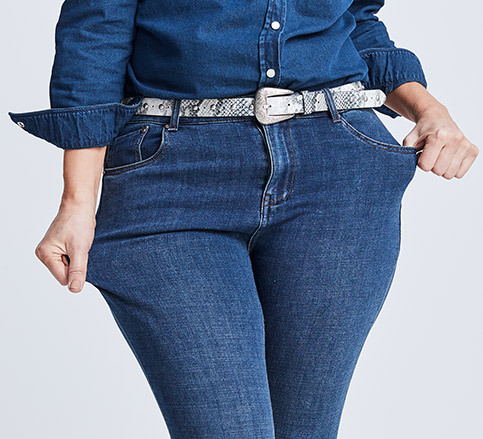 The perfect alternative to a skinny jean, that sits comfortably on your waist. 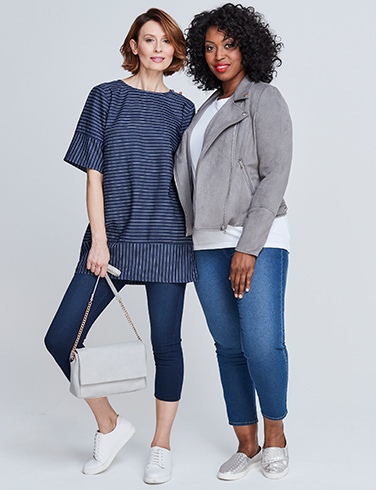 This on-trend jean fit contours your hips and thighs, but offers a more relaxed feel from the knee to the hem. Concealed elasticated waistband for extra comfort and fit. Look great all day, everyday in these stretch skinny jeans. 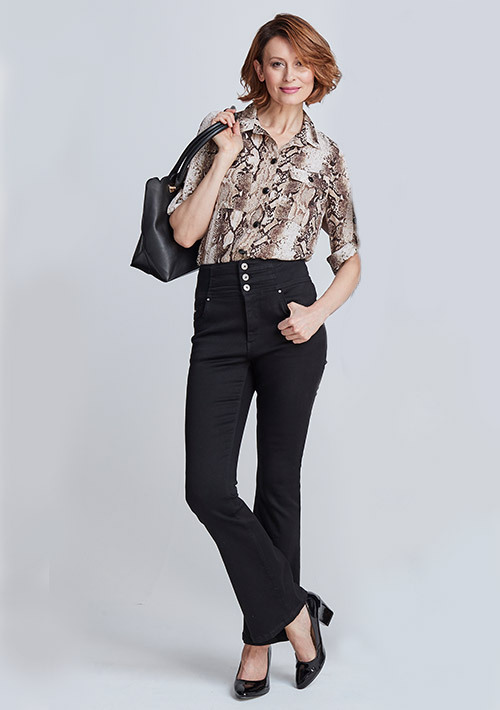 Comfortable stretch denim with concealed elastic waistband. Flaunt those legs and curves with guaranteed all-day comfort. Made using premium stretch denim. Specially designed angled pockets, define the look of your bottom. looking better than ever before. control panel to flatter your figure. 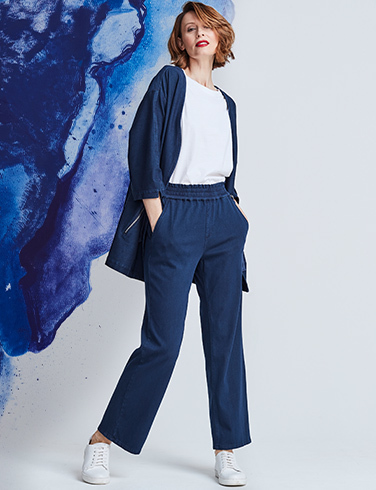 A forward seam to give the illusion of a slimmer leg. 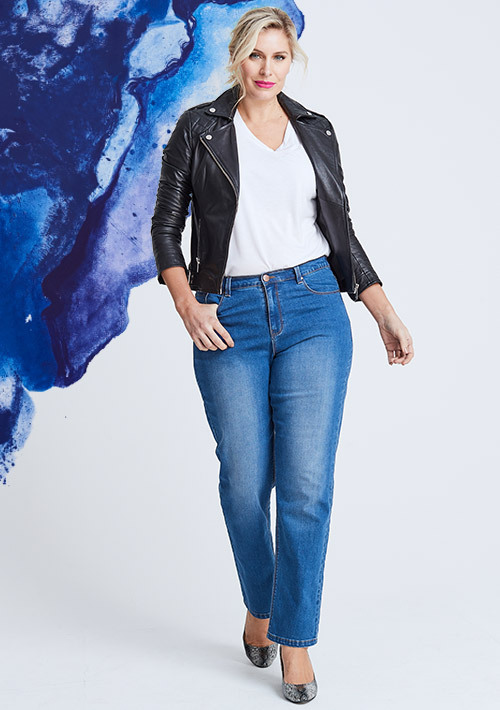 Say goodbye to denim that sits too low or loses its shape after one wear, and hello to our amazing Infinity 4-Way Stretch Jeans. 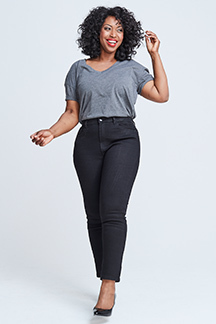 Designed in a premium denim with details that deliver all day comfort, these jeans respond to your curves to give you your best fit ever. Fabric so stretchy you could do yoga in it! Multi-directional stretch fits the body and has a smoothing effect. 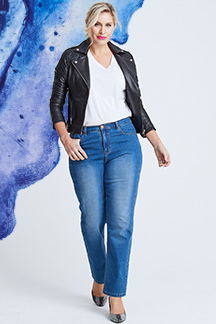 Designed in a relaxed fit, with a soft authentic stretch denim, Sadie jeans have been cut to fit you perfectly. 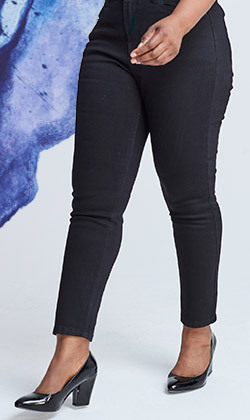 Available in both regular, plus size & petite, our favourite slim leg jeans also come in a choice of colours and styles. Supersoft and flattering, these relaxed jeans come in an easy-wear jersey denim material. Great for off-duty days, these comfy casuals are an everyday essential! Offering the perfect balance between fashion & function, our jeggings offer the same great look of your favourite skinny jeans or bootcut jeans, all whilst boasting the comfort & fit of leggings. Find your perfect pair today. your look for less right here. Check out our blog and discover new tips and ideas to help you live your colourful life in style.